I have been inspired by basketball since I was 11 years old. I started basketball in my home state of Texas and have played in middle school, high school and on the college level. Once my years of basketball ended I became inspired by many coaches and decided to take my talents off the court and into the classrooms. I began coaching and teaching, so I could inspire young kids on how to become better fundamentally skilled basketball players. I started coaching back in 1996 in the state of Texas for number of years on the middle and high school level. I have been coaching in DoDEA since 2003, first in Okinawa and now in Iwakuni. 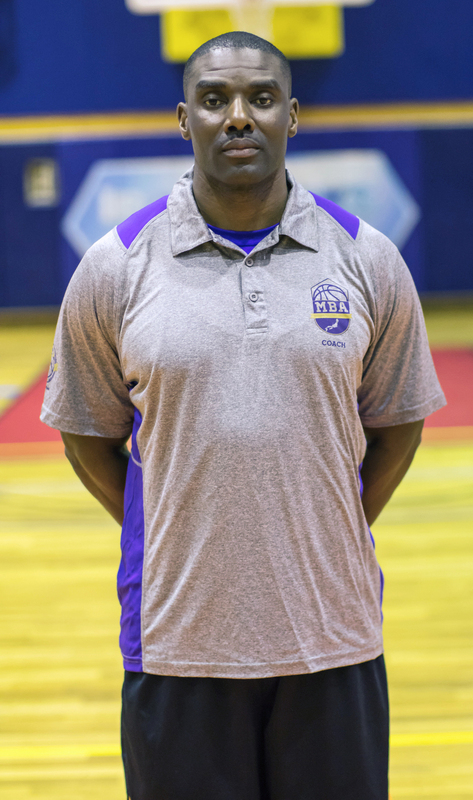 While in Okinawa I was inspired by a longtime mentor, coach and friend "Coach 'Doc' Mayes to link up with his CAEOS Foundation and develop an organization that could better serve the kids overseas to get recognition and skill development needed to go to the next level. In 2010 MBA (Mainland basketball Association) was developed on MCAS Iwakuni. Overall, I would like to always inspire all players to give their "All in All" and "Play with All of Their Heart" when playing the game of basketball. My name is Ronnie Pride. Many parents know me as Coach Pride from the M.C. Perry Boys Varsity Basketball team, where I have coached the past three seasons under Coach Pigge’s program in Iwakuni, Japan. I played both Junior Varsity and Varsity High School Basketball in Virginia Beach, VA. I was also blessed with the opportunity play College Basketball as a walk-on for Virginia Commonwealth University (VCU). In addition, I have volunteered my time in the states as a Player/Assistant Coach for Police Athletic League as well as YMCA Youth Leagues. I approach coaching as a privilege and I am dedicated to helping our youth achieve their goals in life and basketball. My home of residence is Florence, Mississippi, where I attended Mississippi State University on a varsity football scholarship. There, I earned my Bachelor of Science degree in Educational Psychology with a minor in Physical Education. A short time later, I joined the United States Marine Corps, were I worked as the Installation Foreign Language Coordinator. While in the military, I enrolled in Webster University and earned my Master of Science degree in Human Resources. I have spent the past 14 years as a volunteer coach for both youth and intramural athletic programs around the world. Most recent, my coaching experience enabled me to serve on the Matthew C. Perry Varsity Basketball as an assistant coach. In my current occupation with Marine Corps Community Services, I serve the community through the Semper Fit Division as the Assistant Athletics Director. My stay in Iwakuni, Japan is beyond five (5) years as I continue to bridge the gap between American and Japan youth athletes. Educating our youths from an athletic perspective brings me an unmeasurable amount of satisfaction when their goals are met. In this role, I look forward to continuing my effort in sharing my professional experience and educating our youths in various aspects of life through positive athletic reinforcement. My name is ChaTom “CT” Warren. I am in the United States Army and currently serve as a Project Engineer with the United States Corps of Engineers and have been in Iwakuni since July 2014. All throughout junior and senior highschool I played football, basketball, baseball, and track in Arkansas. I played intramural basketball throughout college at the University of Arkansas at Pine Bluff. In addition, I have volunteered countless hours to support military children at each duty station I have been assigned to during my military career. Most recently, I was an assistant coach for the Youth Sports Basketball program here at Iwakuni. It’s truly a blessing to have the opportunity to teach, coach, and mentor children and to see the smiles on their faces when they accomplish their goals.